PHOENIX, Ariz. (October 18, 2018) – The Phoenix Kidder Mathews healthcare team announced the sale of 3271 N. Civic Center Plaza, a 16,919-square-foot medical office building in the South Scottsdale submarket. The asset commanded a sale price of $3.4 million ($200.96 per square foot). The team of Senior Vice President Michael Dupuy and Vice President Rachael Thompson negotiated the sale on behalf of owner 6 Turns, LLC, a subsidiary of SEBO Enterprises, LLC. Built in 1983, Civic Center Medical Plaza features eight suites that can easily be combined to create larger spaces. 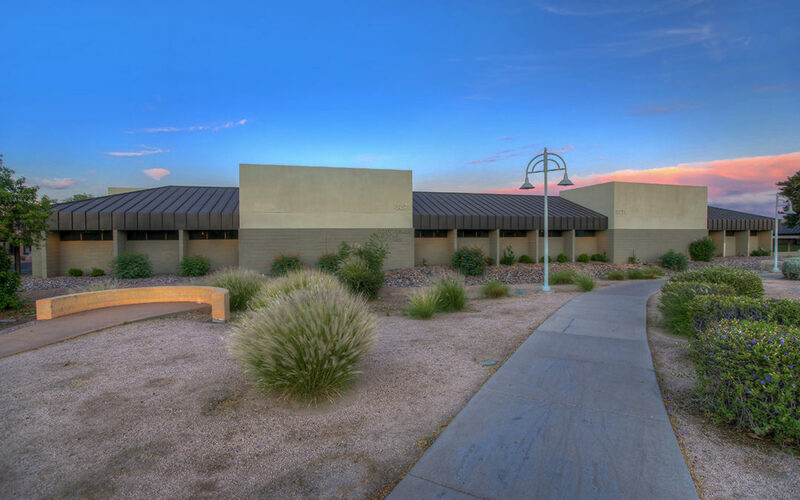 The one-story building is situated on 1.5 acres in South Scottsdale’s medical market which currently offers limited availability of larger spaces and has a scarcity of first-floor space. The asset is highly visible and sits directly across from HonorHealth Scottsdale Osborn Medical Center. HonorHealth Osborn is a full-service, 337-bed hospital that offers services in trauma, orthopedics, neurosurgery, cardiovascular services, and critical care. Other services include those at Greenbaum Surgical Specialty Hospital, which focuses on general surgeries including ear, nose and throat; urology; and gynecology. Amenities in proximity to Civic Center Medical Plaza include numerous multifamily communities as well as restaurants and retail establishments. The property is situated across from Scottsdale Stadium, spring training home of the San Francisco Giants. The buyer, Dr. Remus Repta, was represented by Sheila Bale and Ryan O’Connor with Cushman & Wakefield.